Since the inception of the program over fifteen years ago, EED has abated more than 24,500 graffiti sites within our East End boundaries, nearly 16 sq. miles of Houston’s historic East End. The graffiti abatement program directly contributes to the East End’s economic development and public safety improvement goals. 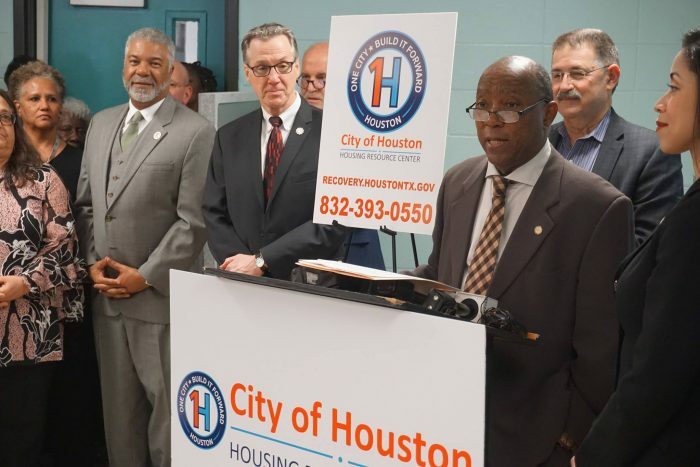 The program received the Mayor’s Proud Partner award and the Greater Houston Partnership’s Quality of Life award for efforts to improve the image of Houston’s East End. The District operates four GraffitiMobiles, and with the generous help of our partners, we’ve outfitted the trucks with equipment that can power wash graffiti from a variety of surfaces and repaint to match the pre-graffiti color. This service is available at no cost to commercial property owners within the District’s boundaries. Contact the District office at 713-928-9916, or email services@eastenddistrict.com, sign a Graffiti Abatement Waiver to allow us on your property, and our crew will visit your site to remove the graffiti or tagging. The District works with other governmental entities, including the City of Houston, to remove graffiti and tagging. Calls to the City of Houston’s 311 Services Hotline will generate work orders to have graffiti abated from city/public property. You may also log on to Houston311 to report graffiti on line. Crime Stoppers offers cash rewards up to $5,000 for anonymous reports by phone at 713-222-TIPS, by text message to TIP610 TO CRIMES(274637), or Crime Stoppers. The East End District celebrated the abatement of the 100,000th site in Houston by our graffiti crew on March 7, 2013 at Burnett Bayland Park. That number has now exceeded 230,000 sites.